Apple TV may have met its match. 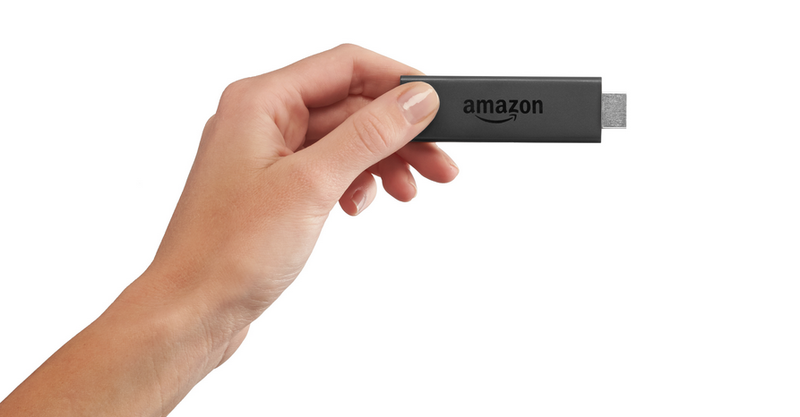 Meet the new Amazon Fire TV Stick. Fire Stick is a small USB drive that plugs into the HDMI port on your TV and connects you wirelessly to the Internet. Access all of your favorite online streaming services like Netflix, Hulu, Youtube, Amazon Instant Video, and even a number of offerings from HBO. How? The guts of the Fire Stick allow for streaming services that are four times faster than Google Chomecast and 32-times faster than the Roku Streaming Stick. It also has what Amazon calls "ASAP" (Advanced Streaming and Prediction) that learns which shows you like to watch and automatically gets them ready so you won't have to wait for shows to buffer. Take a look at the stat sheet and you'll quickly understand why the Amazon Fire Stick should be the new go-to for streaming online content to your TV. Gavin Woolard is an editorial intern at Supercompressor. Follow him on Instagram.